Shalom and blessings from Jerusalem! I would like to personally thank you for partnering with the Hope for Israel team. We were able to host two wonderful events this past month – one for our high school youth to celebrate Purim, and a brunch for our believing soldiers! Both events were a wonderfully blessed time of fellowship, fun, and encouragement for these young believers in Messiah. Tziyon & David, our youth group coordinators, planned a great activity for the youth to celebrate the Jewish holiday of Purim. Purim is when we remember God’s faithfulness to deliver the Jewish people of ancient Persia through the brave Queen Esther and Mordechai. It’s a festive time in Israel, where children and adults alike dress up in various costumes, and we read the story of Esther from the Scriptures. The youth enjoyed a challenging teaching from the Word, as well as some delicious food, all of which we provided for them free of charge. Our believing soldiers’ outreach is a crucial part of the threefold vision of discipleship at Hope for Israel. This is a challenging time in the lives of these young men and women, as they are often confronted by worldly things, and encounter hostility towards them and their faith! Our regular meetings are a safe place for them to come together to openly share what they’re going through, and to receive encouragement from people who have been where they are and came through it strong in their faith. I am grateful for Sapir, our soldiers’ outreach coordinator, for her dedication to lavishly bless our soldiers during this difficult season! We also look forward to blessing the soldiers this coming Passover season with special care packages, including a special, yet practical gift and a personal encouragement from me to each one. 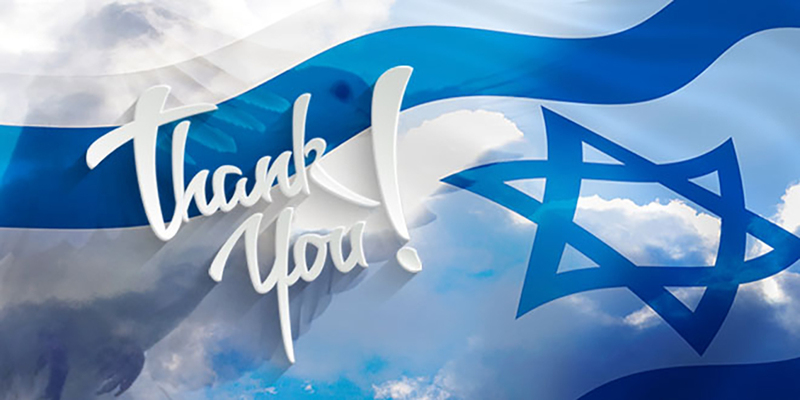 Thank you for entrusting your love offering to Hope for Israel as we continue to build & strengthen our youth & soldiers in Israel. We are grateful that you have partnered with us to invest in them! May the Lord continue to strengthen this partnership in the year ahead.